Evolution of disruptive technologies is fast shipping the global economies or should we say, rewriting the rules of global businesses. Disruptive technologies are not only creating new products, services, business models but also providing vast amount of data for carrying out various analysis from different perspectives suitable to a variety of users and purposes. This data is also giving rise to the new phenomena, known as artificial intelligence. The importance of the data received can also be judged from the fact that many people are now calling data as new oil. Various channels for this data are available today which includes Internet, social media, mobile solutions, cloud computing, Web services, data analytics and algorithms. This new technology is being embraced by a common citizen and equally by a business. These days variety of government services are now being delivered electronically. At the same time, the tax administrators across the world are also not far behind in catching up to this new economic order of the world. The new digital world that we live in today, presents a vast number of analysis of economic activities related to not only the business but also to the lifestyle of a common citizen. This leads to a significant amount of insight into the economic behavior of the business as well as of a common citizen, enabling tax administrators to formulate policies aimed at specific target audience and also devise specific tools to detect deep-rooted tax evasions which were almost impossible until very recently. The technological advancements are also challenging the tax administrators to fundamentally re-examine tax administration models. The fundamental re-examination would not only have to focus on collection of tax and plug out the loopholes but also find ways to facilitate growth of business in a highly competitive global market where every country is for a share of the global business. In this scenario, no tax Administration can afford to be seen as an impediment for a global business leader to set up a shop in that country. Using new technologies, the tax administrator now has to consider and find ways to respond quickly, with consistency and certainty, to the expectations of any dynamic business, particularly in the era of contemporary e-services and digital delivery. The tax administrator now has to be more agile and dynamic in responding to the needs of business which is changing at speed of light. 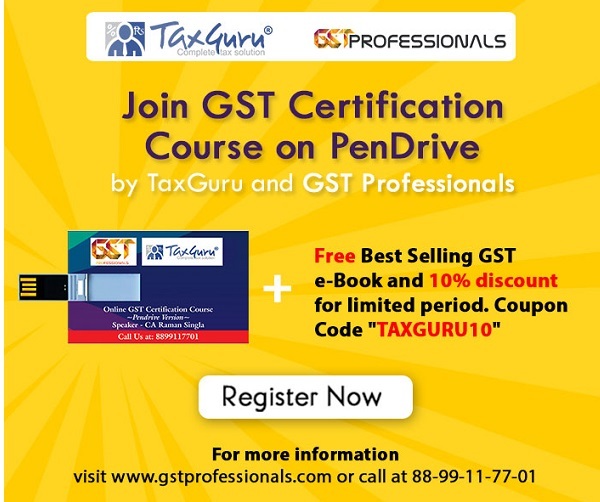 This will also result in significantly lesser amount of physical interaction between the tax administrator and taxpayers and therefore there would be an increased need for tax administrators to train their cadre in data analysis and artificial intelligence as against the conventional methods of physical controls, personal interactions and sometimes intrusive as well. While the new technologies are presenting opportunities and challenges for the tax administrators, the business would also have to be equally equipped and deal with the changing environment. In this new technology driven world, the process would replace human activities and therefore the robustness of procedures and processes particularly in the area of tax compliances can hardly be over emphasised. The lack of human intervention presents opportunities for corruption free tax environment, but at the same time also presents its unique challenges. A number of variations which could appear logical to a human mind could result into initiation of tax investigations. The technologically driven audit tools, big data analysis, exchange of information between global tax administrators are just a few tools that would require business to be always above the line in its reporting to the tax department. This would also require businesses to significantly invest in new technologies, business processes & policies and also train their people to rise up to the new challenges being faced due to the vast amount of information available to the tax authorities. Probably the time has come where both tax administrators and businesses can use this data to prepare for the future. Tax administrators can use the data for estimating future trends and quickly align their policies and processes to address the newer business realities. At the same time a business can use the data for enhancing its business, understand the customer behaviour and be prepared to deliver more value to its customers. The idea of Indian tax administrators giving compliance ratings to the business is a clear indication of the things to come. An increased compliance rating would put business at a higher pedestal, become eligible for easy funding, good credit ratings and recognition at various government and non-governmental departments. This could have significant amount of collateral benefits and one should not be surprised if at a later stage various governments make it mandatory for a business to have at least a particular amount of rating before entering into any kind of commercial transactions with them. While the tax administrators and businesses would prepare themselves to address the New World, how can tax consultants and advisors remain on the sidelines. The tax services by professionals would rather have two be a step ahead in understanding the technological advancements taking place at both tax administrators and tax payer’s places. Tax advisors would have to play a significant role in not only understanding the technological advancements and put the places but also bridge the gap in understanding between the taxpayers and tax collectors. The increased automation would change the face of tax audits and nature of disputes. Technology would make audits more transparent in disputes more technical. Quite evidently, these are transformational times for all stakeholders. We hope that the new technological tools would help administration provide more proactive and responsive services, better manage and address tax avoidance, eraser and fraud. At the same time, these would help businesses to focus on core activities and leaving tax compliances to automatic technological tools, once the robust business processes and policies are put in place. The tax advisors would also be able to provide value-added services to business by increased use of technology and anticipating future events. In the end, let’s hope for more transparent and quick interactions between the three stakeholders without having to deal with tons of paperwork and unnecessary reconciliations which can be taken care of by advanced technological tools.